What is Love as a Fruit of the Spirit? One of the fruits of the Spirit is love. Love is an outward proof of the Holy Spirit's work in the life of a believer. Galatians 5 goes through and lists the things that are the opposite of a Spirit-led heart and life, such as worshiping idols, hatred, drunkenness, etc. The passage then tells us what the fruit of the Holy Spirit IS, and love is the first one mentioned (Galatians 5:22-23). The opposite of love is hatred, which is outward proof that the Holy Spirit is NOT influencing an unbeliever's life. This is a stark contrast to what a believer's life should be. 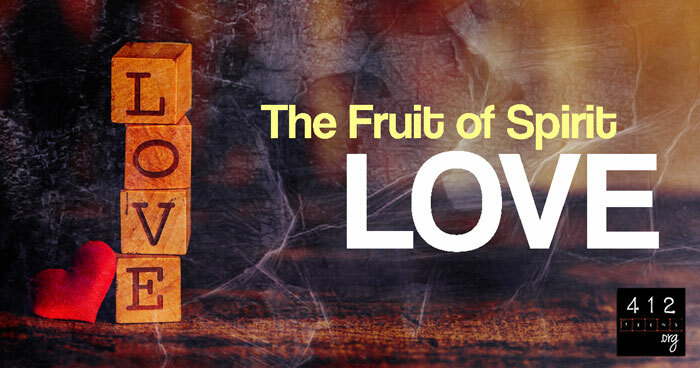 What kind of love is "fruit of the Spirit" love? Is this like a romantic love? A brother-sister type of love? Nope. The kind of love we're talking about is mentioned in Galatians 5:14, before the fruits of the Spirit are listed: "For all the law is fulfilled in this one word, even this; you shall love your neighbor as yourself." And THAT is reiterating what Jesus taught repeatedly, like when He was asked about the greatest commandments. He said to "love the Lord your God" and "love your neighbor as yourself" (Mark 12:30-31). The Greek word for "love" used in these verses is agape. It's the same word used in John 3:16, about how "God so loved the world that He gave His only begotten Son, that whoever believes in Him shall not perish, but have eternal life." This is the kind of love that looks out for the best interests of others and selflessly shows love in word, thought, and action. The Samaritan was willing to go the extra mile to help a man whom he didn't even know! Think about that for a moment. He was just passing through, on his way someplace, when he saw a stranger in need. Then he sidetracked his entire day and provided resources to help him. This brings love to a whole new (and sometimes very uncomfortable) level. Jesus said, "Love your neighbor as yourself," and we should do the same by showing agape love to our neighbors. How can I show love to my neighbors? Who are our neighbors? EVERYONE AROUND YOU. That means your family, friends, co-workers, and even the people you may want to exclude from your life. Yes, the people who seem to always have a nasty comment, rude words, or downright mean attitudes and actions are—you guessed it—considered our neighbors. According to God's Word, we must show unconditional, sacrificial love to them. If we allow the Holy Spirit to lead us and be in control, then this is the love that will spill over from our hearts. This is the fruit of the Spirit! Jesus is the perfect example of showing love from the Holy Spirit. He chose to suffer unimaginable things and die on a cross for the very people who were chanting, "Crucify him! Crucify him!" He chose to die for all of us because he knew that it was the only way to save us. You may not be called to die for someone who hates you, but you might be called to show compassion and love to such a person, and maybe gain a new ally in the process. Let me encourage you: God would not ask you to do something that is impossible. That is partly why He gives us the Holy Spirit when we accept His Son as our Savior—to help us (John 14:2)! God says we are to love our neighbors, love our enemies, and do good to those who spitefully use us (Luke 6:27-36). God is ready to help us in the process of doing these things, but we still need to CHOOSE to pursue Him and allow His Spirit to lead us. Who do you know who needs to be shown love? Needs just simple, kind words? Is someone in your life treating you wrongfully? How can you show love to that person? Pray and allow the Spirit to work in your heart. Ask God to show you how to love selflessly. Pray that your life would bear the fruit of love in a way that others may be encouraged too. Love is an outward proof of the Holy Spirit's work in the life of a believer (Galatians 5:22-23). The Greek word for "love" used in these verses is agape. It's the same word used in John 3:16. This is the kind of love that looks out for the best interests of others and selflessly shows love in word, thought, and action. 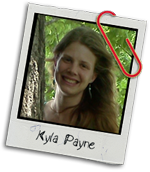 Kyla is the oldest of 11 children and enjoys horses, music, and gardening. She has a bachelor's degree in Biblical Counseling. Kyla and her husband, Ben, live in Kansas City, where they enjoy walking their Miniature Australian Shepherd puppy Kitchi.